the FIA 8860 standard for helmets has proven its efficiency in amazing crashes and will soon be spread to many more series (Formula 2, GP2, GP3, WTCC, FIA GT, WRC, LMS…). 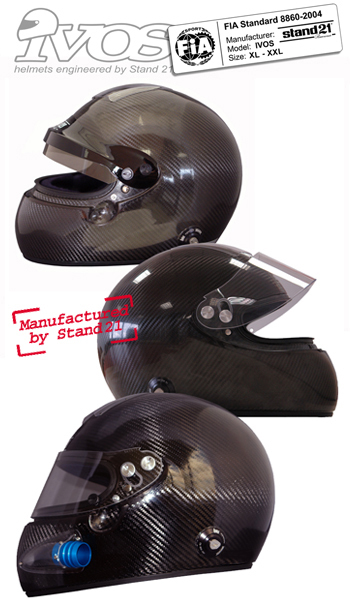 True to its reputation for excellence, Stand 21 has intensely developed its IVOS Double duty helmet over the past two years (used both in open and closed cars) and IVOS-AIR FORCE to get this FIA 8860 standard with the best manufacturing quality on the market while keeping a realistic price. FIA 8860 & SNELL SA 2005 homologated helmet with the comfort and quality which have made our reputation. It is 20% cheaper than the current first prices available on the helmet market. This difference is explained by the fact that Stand 21 has now perfectly mastered the manufacturing process of a full-carbon helmet. So this is great news for all drivers wanting the highest level of safety at a reasonable price. 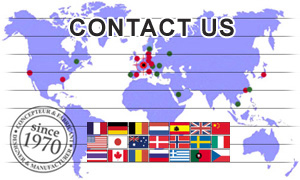 be adapted made-to-measure for free and can be ordered with special painting on quotation. The new open IVOS coming soon will of course be FIA 8860 homologated too. The FIA 8860 homologation label for helmets is applied on the outside of the liner. If you have your helmet repainted after purchase, make sure the label is protected during the painting because no spare label will be given. service to feel the difference.